Patching your roof is one thing, but a complete roofing overhaul is one of the costliest maintenance projects for homeowners to experience. Roofing costs can vary, so it is a good idea to prepare before making a big roofing decision. There are multiple, surefire red flags to watch for when considering replacing a roof. If shingles have curled edges, show signs of balding or cracking, or if the roof looks old from a distance, it may be time to hire a professional to inspect the condition of your roof. 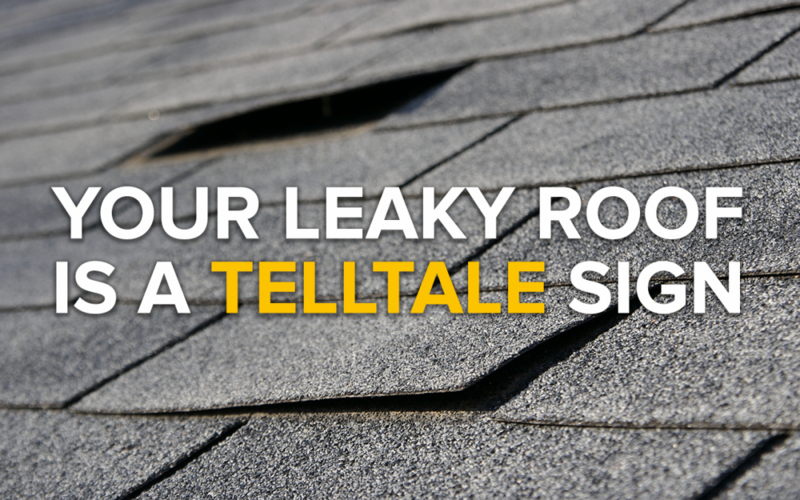 Sometimes, nature itself can give you clues about when to look into a new roof. For instance, if daylight can be seen shining through your attic or there is algae and an overgrowth of moss growing steadily, you likely need some repairs or a roof replacement. 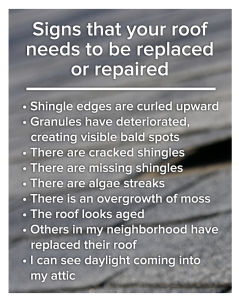 At the very least, see if your neighbors are undergoing roof maintenance. In urban neighborhoods, homes are usually built around the same time, so if everyone is getting their roofs worked on, then it may be a good idea for you to do the same. Roofing costs vary depending on a few key factors: size, pitch and accessibility, and materials. The most prominent factor is the size of the roof. More surface area means more materials used and more work involved. The height of the roof can change the difficulty of the work, so prices could go up through this too. As roofs develop steeper inclines, the process of replacing or installing shingles becomes more tedious. Because of this, roofing companies will require workers to wear special safety gear and take more caution while working. Chimneys, skylights, and previous damages add to the difficulty of the work as well. These things slow down the process and raise the price of the project. Roofing materials also determine total cost. Asphalt is commonly used, because of its affordability compared to wood, metal, tile and slate. However, asphalt roofs tend to last around 30 years or less while the other materials, like metal, tile and slate, are good for about 40 years or more. Along with a budget, another factor to consider is the quality of the work you want for your roof. Do some homework and look into acclaimed roofing companies in your area for the best possible services. High-quality craftmanship and experience are what differentiates roofing companies from each other. To find your perfect roofing company, talk to your neighbors about who replaced their roofs and search for references. Go to a company’s website for more details about their work history and what services they provide. V & V Roofing & Sheet Metal is one of those companies your neighbors will recommend to you for all your roofing needs. With over 20 years of experience, we provide quality services, using only the best materials and offering competitive prices for projects of all sizes. Contact us for professional work on your next big roofing project.